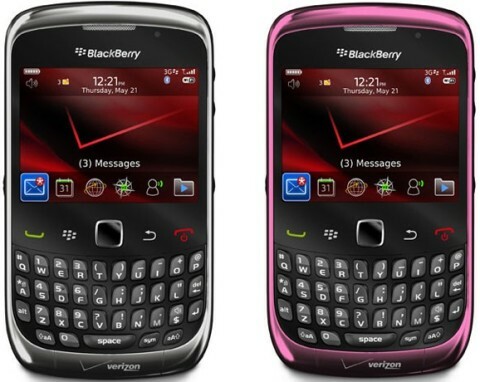 RIM and Verizon Wireless have announced that the new BlackBerry Curve 3G 9330 smartphone will be available exclusively for Verizon customers soon. BlackBerry Curve 3G 9330 features a full QWERTY backlit keyboard, dedicated media keys, optical trackpad, BlackBerry Media Sync, GPS, Wi-Fi and microSD memory expansion slot, based on BlackBerry 5 and updatable to newest BlackBerry 6 OS in the near future. The new BlackBerry Curve 3G (9330) smartphone which measures 4.3 x 2.4 x 0.55 inches and weighs in at 3.7 ounces will be offered in Charcoal or Fuchsia Red color, scheduled to hit Verizon stores starting September 16 for $29.99, after a $100 mail-in rebate with a new 2-year service contract.